SAN FRANCISCO (AP) — A U.S. judge Tuesday repeated President Donald Trump’s vulgar description of African countries while questioning his administration’s motives for ending a program that lets immigrants from four countries live and work legally in the U.S.
Judge Edward Chen during a hearing in a lawsuit seeking to reinstate the program also cited a memo that he said suggested the decision to end it was driven by the administration’s America First policy. He asked an attorney for the U.S. Department of Justice to respond to allegations by plaintiffs that America First meant excluding immigrants who are not white. 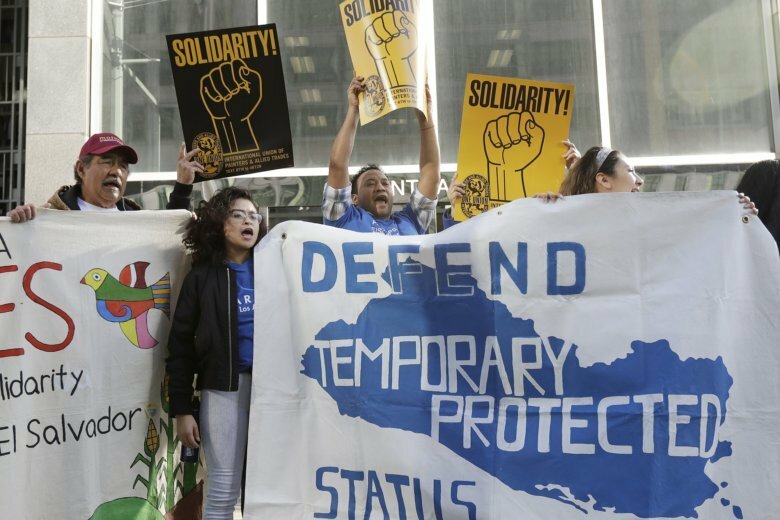 Chen is deciding whether to issue a preliminary injunction blocking the administration’s decision to end temporary protected status for people from Sudan, Nicaragua, Haiti and El Salvador. He did not give any indication of when he would rule. The lawsuit alleges the administration’s decision was motivated by racism and cites Trump’s vulgar reference to African countries during a meeting about immigration at the White House in January. “We just have blatant, rank discrimination statements coming from the most powerful person in the government,” Ahilan Arulanantham, an attorney with the American Civil Liberties Union of Southern California, said at Tuesday’s hearing. Arulanantham is representing the plaintiffs. Adam Kirschner, an attorney for the Department of Justice, said the memo Chen cited showed then Homeland Security Acting Secretary Elaine Duke grappling with what to do about temporary protected status. Kirschner said input from the White House was expected on an issue like this, but the final decision was Duke’s. Chen repeated Trump’s vulgar comment about the countries while responding that any influence the White House had on Duke could be relevant.